If you've spent any time on the Internet, you know that people are ridiculous. And they're even more ridiculous in real life! Artist Jon Rafmanhas been documenting the absurd in Google Street View since 2009 with his project 9-eyes and continues to find ridiculous picture after ridiculous picture. 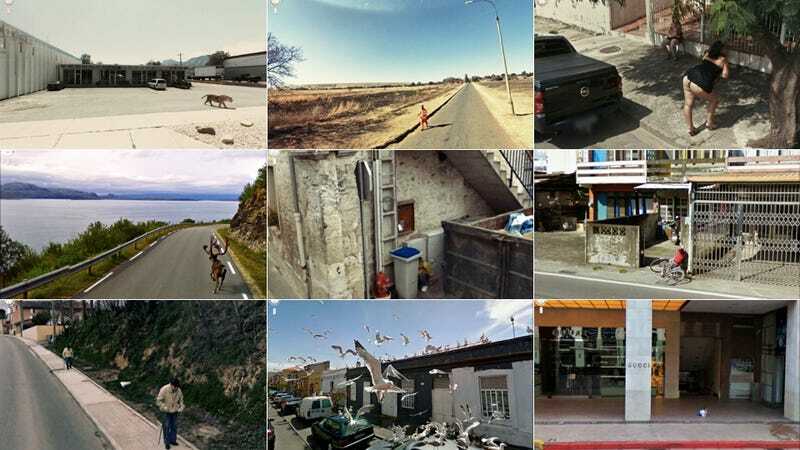 Here's a brief look at his collection of funniest images of people in Street View. A day in the life of a tiger. Kid must really hate shopping at Gucci. I can't help but crack up when I look at this one.